A popular classic which has been given a contemporary twist. Presented in a luxury black, faux leather case with white stitching, the set contains finest quality pieces and makes an ideal gift for both the novice and serious games player. Packaged in an attractive metallic silver box, this set includes a comprehensive rules booklet. 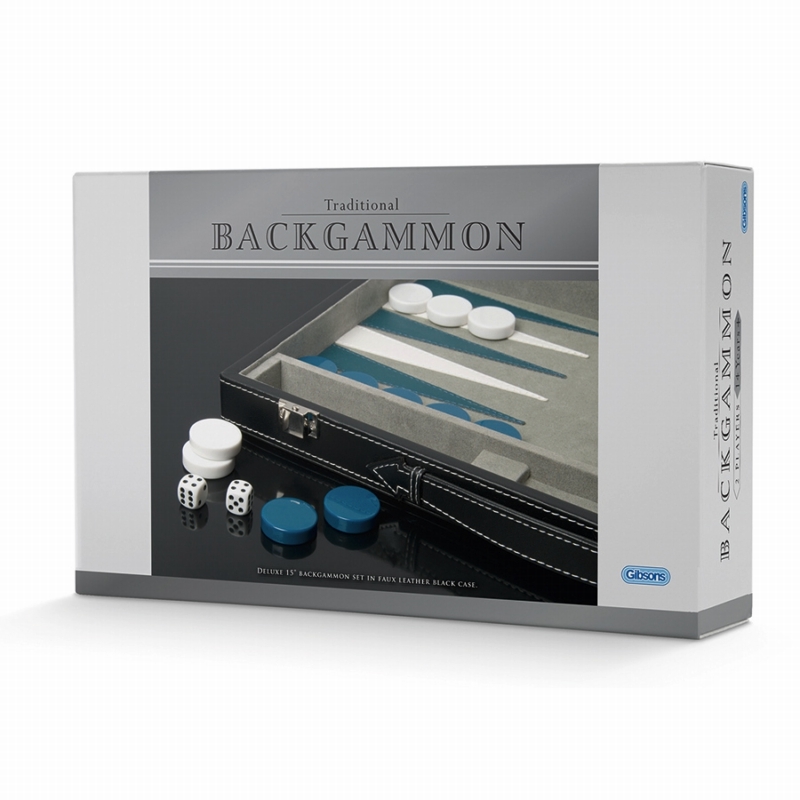 Backgammon is one of the oldest and most popular games in the world and this set contains everything needed to play the game including dice, doubling dice and a set of high density plastic stones. 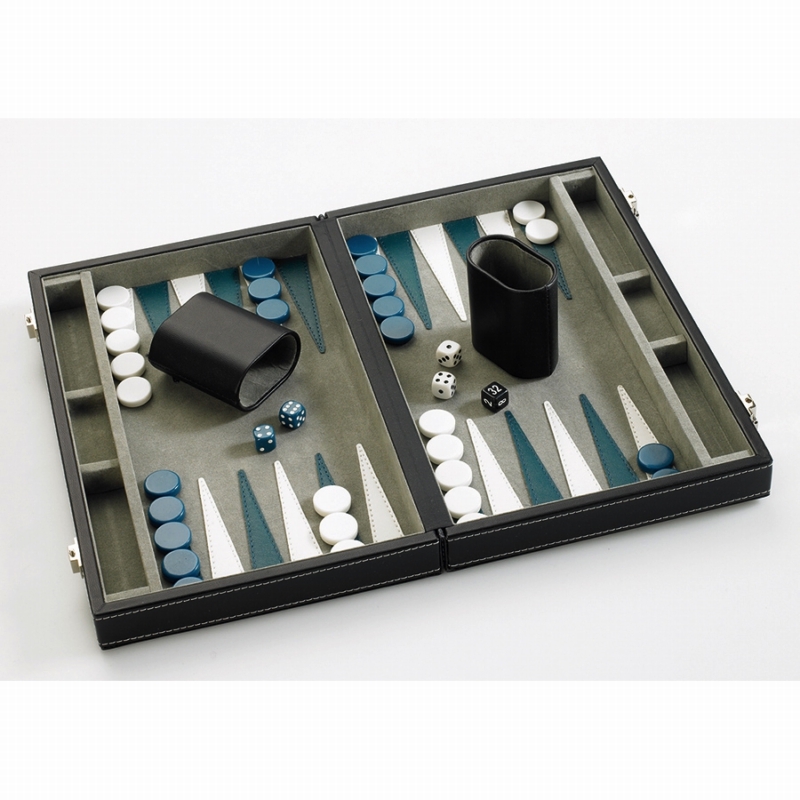 Backgammon was first found in a Royal Sumarian cemetary in Mesopotamia. By the 15th century, it was played throughout Europe, when it was known as “tables” and it is still called Tric-Trac in parts of France. Board measures 11 x 14 inches when unfolded.